If you’re like most people, you probably spent a good chunk of your wedding budget on photos—and with good reason! After all, once all the guests have gone home, your wedding photos are the only thing you have left to remember the emotions and joy of that day. But there are other days in your life and in your marriage that matter just as much as your wedding day. The birth of your first child—or even your second or third—marks a huge shift in the life of your family. It’s a major milestone and an amazing moment, and one you’ll want to cherish for years to come. Newborn photos allow you to hold on to those memories as your child grows and begins to crawl, talk, and walk. 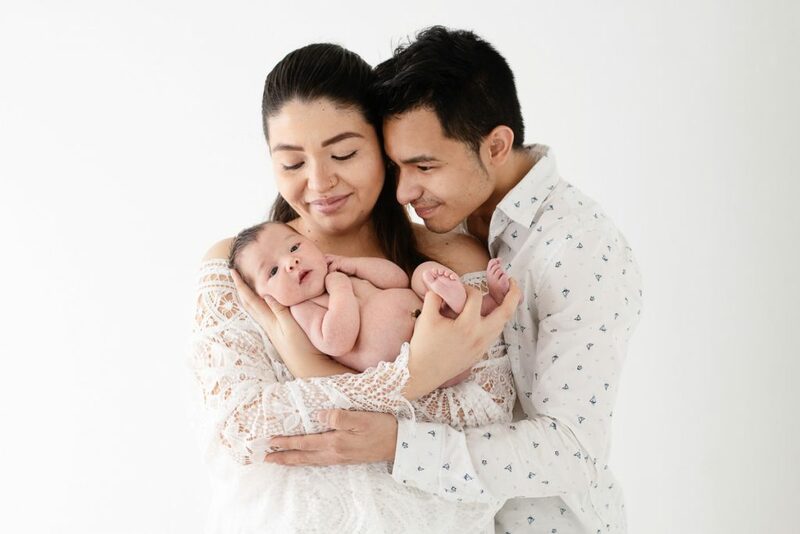 Those images will remind you of the magic and wonder of your child’s first days of life, and that’s just one of the reasons why you should consider investing in a newborn photo session. You may regret skipping photos one day. I’ve never met a single person who regretted having photos of major moments in their lives. Have you ever seen someone toss out their graduation or wedding photos? Of course not! That’s because memories are incredibly important, and photos are one of the primary ways we hold onto memories. You’re far more likely to regret not taking photos than you are to regret having them. A newborn photo session may seem like something you don’t need when you’re so busy taking care of a baby and adapting to this major change in your household. But in the years to come, when your child grows up, you’ll be glad to have photos to remind you of their first days. You won’t get a second chance at taking these images. If your family photos don’t turn out like you wanted, you can always retake them. But you only have a limited time to capture newborn images before your child is too big—and you can’t decide to take them later if you change your mind. Capturing photos of your little one at their newest and smallest is an opportunity that you absolutely don’t want to miss. Your kids will be grateful—and so will your grandkids. Did you ever look at old photos of your parents or grandparents when you were growing up? It’s so fun to look for family resemblances and to see how much everyone has grown and changed. Photos can help give your family a sense of history and help your kids better understand where they came from and what life was like before they could remember. Having photos of your children as newborns will give them something to look back on and cherish with their own kids. Plus, it may start a tradition that will continue for generations. One day, photos will be all you’ll have left. You may think you’ll always remember the most important moments in your life, but chances are you won’t. As we age, memories fade, and we sometimes struggle to hold on to even the most important ones. That’s what is so amazing about photography: it allows you to capture memories and helps remind you of the biggest moments in your life.